Italy is keeping its tough law on assisted fertility in a victory Monday for the Vatican, after citizens shunned a ballot vote to eliminate bans on egg-and-sperm donation, freezing embryos and other widely used methods by couples wanting to have children. Pope Benedict XVI had endorsed a call by Italy's politically influential Catholic Church for Italians to boycott the referendum vote held Sunday and Monday. The four ballot measures drew 25.9 percent of eligible voters, roughly half of the required turnout of 50 percent plus one for the referendums to be binding on Parliament. It was a humiliating defeat for those who drew the Church's ire in seeking to undo some of Europe's strictest regulations on assisted fertility. Had they succeeded in gutting the 2004 law, the referendums would have ended a limit to the number of embryos that can be created at one time and lifted bans on freezing them for future implantation or on screening them for defects. Success at the polls would also have scrapped a provision of that puts embryos on par with the born in terms of legal rights. The Holy See's press office said it planned no comment. But the Vatican's missionary news agency Fides touted the referendums' failure as proof of its pulling power in predominantly Roman Catholic Italy, an officially secular state that hosts the Holy See on its territory. "Catholics are united on fundamental values, starting from the supreme value of human life," Fides said. Cardinal Camillo Ruini, the Italian bishops conference leader, who championed the boycott appeal, dismissed talk that the Catholic church was the "victor." "What really won was the moral conscience of our people and the future of man himself," Ruini said in an interview on private Canale 5's evening news. Some Italians sounded taken aback by the referendums' poor drawing power. "I didn't expect such a low turnout," said Domenico Costantino, 29, who is a fund-raiser in Rome for the British aid group Save the Children. He said the intervention of the church and of political parties had influenced people's choices. "I am not disappointed that the referendums failed," said Carmen Maulicino, a shop assistant in Rome. "The cycle of life is a natural thing and we should not interfere by manipulation." A recent Associated Press-Ipsos poll found that nearly two-thirds of Italians think religious leaders should not try to influence government decisions. And in random interviews, many denounced the church's appeal as invasive. "We lost, and we lost heavily," said Daniele Capezzone, a leader of the Radical Party, which battled to overturn the law. Commenting on the church's aggressive campaign, Capezzone worried that churchmen would now wage war on laws permitting divorce and abortion. Italians defied Vatican teaching in a 1974 referendum which upheld divorce and in a 1981 ballot measure which upheld Italy's liberal abortion law. But Ruini denied that the abortion law was the next target, calling such concern "invented." Many doctors and fertility patients said the law hurts chances for success of in-vitro methods. 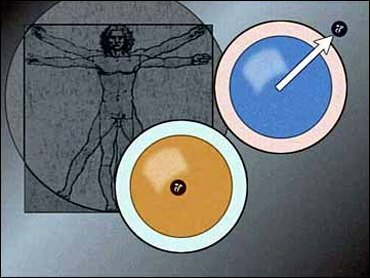 In Italy, no more than three embryos can be created and all of them must be implanted at the same time. Until the law, many more embryos were created by mixing sperm with eggs harvested from hormone-stimulated ovaries to improve chances that some embryos will successfully develop in the womb. Extra embryos were frozen to spare women heavy doses of hormones for future attempts at pregnancy. The law also forbids the use of eggs or sperm from outside a stable, heterosexual couple. It also bans pre-implantation screening of embryos for disease-causing genes. Critics of the law argued that affluent couples go to countries with more liberal assisted fertility laws, while those who can't afford that struggle with the law's limits. In the vacuum before the legislation, virtually the only guidelines in the lucrative field of assisted procreation were an individual doctor's ethics. Italy was a pioneer in pregnancy for post-menopausal women in their late 50s and early 60s, who used donor eggs to conceive. Going into the vote, conservative Premier Silvio Berlusconi never took a stand or even said if he intended to vote. "I kept silent to not divide the country on a problem of conscience, and I don't want to make comments not even now, after the voters have shown yet again that they know how to judge in an independent way," Berlusconi said. Berlusconi's main coalition leader, Deputy Premier Gianfranco Fini, stunned fellow conservatives by announcing he was voting yes on all measures except the one to end the ban on egg and sperm donation. The politician Berlusconi defeated for the premiership in 2001, former Rome Mayor Francesco Rutelli, sided with pro-Catholic centrists in the opposition in boycotting the appointment at the polls.